Iridium provides voice and data connections over the earth’s entire surface, including the polar caps. Iridium uses a sophisticated mesh network of 66 cross-linked Low Earth Orbit (LEO) satellites in polar orbits about 781 km above the earth with multiple points of redundancy. One result of this powerful network architecture is that Iridium satellite phones can be used in extremely mountainous terrain that defeats other satellite networks. Since Iridium satellites are close to the earth, the call latency experienced by Iridium users is almost unnoticeable compared to the latency experienced by callers using the Inmarsat or Thuraya satellite networks. Another key advantage of Iridium is that it performs call switching in space instead of on earth so that the call path is unaffected by local earth weather conditions. Iridium is currently launching a second-generation of satellites called Iridium NEXT which will continue to support the 850,000 existing Iridium subscriptions on existing Iridium equipment. When the Iridium NEXT roll out is complete, new Iridium Certus terminals will offer dramatically faster internet speeds suitable for broadband applications. 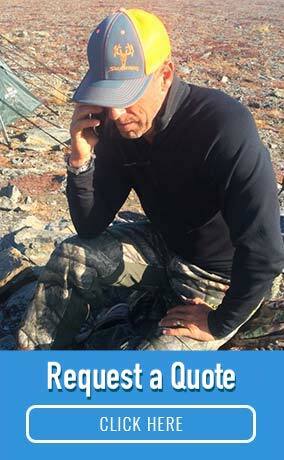 Iridium 9575 Extreme: This is the current state-of-the-art handheld Iridium satellite phone. In addition to voice calling, texting, email-to-text, and 2400 bps data, it also has extreme weather resistance, special diamond grip armor, GPS features including personal tracking capability, and an S.O.S. button. The S.O.S. feature lets you push a single button to both send a text with your GPS position and initiate a phone call to your designated emergency contact. We recommend that you use the S.O.S. feature to contact GEOS emergency response which is an emergency service included with every active subscription. Iridium 9555: This is the economical work horse of the Iridium satellite phone family. Outfitter Satellite rents this model and offers used Iridium 9555 phones at a significant discount with a 6-month warranty. Iridium GO!® Hotspot: This pocket-sized battery powered hotspot lets you take your smart phone or tablet virtually anywhere. Make phone calls, send texts or emails, share photos -- even send automated GPS location reports so your friends and family can know your location in case of an emergency. Just download two free apps into your iOS or Android smartphone or tablet and start communicating. Up to 5 smart phones can use the Iridium GO! at one time though only one voice line is available. The Iridium GO! has a slow 2400 bps data speed so Outfitter Satellite does not recommend it for web browsing or other high speed internet applications. The Iridium GO! also has a one-touch S.O.S. feature so that you can call and simultaneously transmit your position in case of a dire emergency. The S.O.S. button can be used to initiate a call to any emergency phone number you wish, but we recommend that you use it to connect to GEOS emergency response which is included with every active subscription. BEAM RST-100: If you have a in-building application, this rack-mountable Iridium terminal is ideal. It has an RJ-11 telephone port and can be used with standard phone or PABX equipment. It also supports Iridium data communications. An Intelligent Handset option is available for marine GPS applications. Iridium offers a global push-to-talk service. 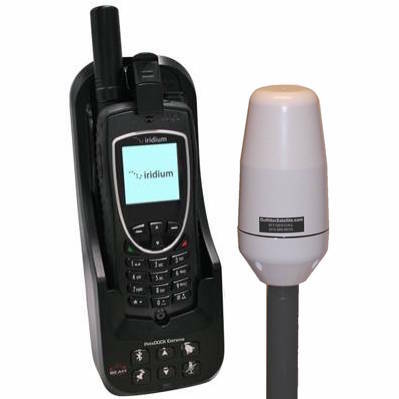 To access it, you need to use the Iridium Extreme PTT handset. This phone is similar to the popular Iridium 9575 Extreme in look and functionality except that push-to-talk is supported. It allows unlimited push-to-talk communications with all the other Iridium Extreme PTT phones that are registered on the same talk group. 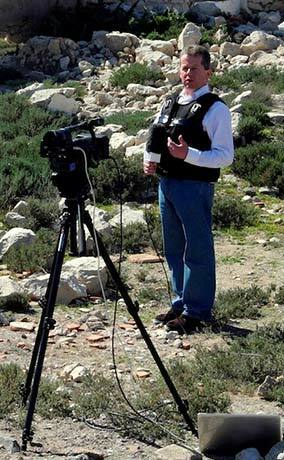 Iridium push-to-talk services can be used anywhere on earth and are amazingly affordable. 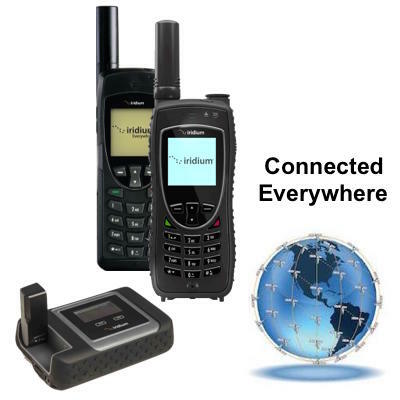 The Iridium Extreme PTT phone is a good choice for organizations with users that need to communicate in remote locations. Multiple talk groups are available for larger more sophisticated groups. If SMS messaging or calling public phone numbers is required, the Iridium Extreme PTT handset can be switched to "telephony mode". Special equipment options are available to enable portable radios to interconnect with Iridium PTT equipment. Please call for a demonstration. The Iridium Pilot is a marine-grade Iridium terminal that offers broadband data speeds up to 128 kbps. It has 3 phone ports and can make or receive 3 simultaneous phone calls. Unlike other marine terminals, such as Inmarsat FleetBroadband, the Iridium Pilot provides global coverage. The three phone lines can be configured (in any combination) as standard lines, as postpaid privileged PIN-code protected Captain's lines or as Crew calling lines. Crew calling lines are used in conjunction with 45-minute or 90-minute prepaid scratch cards. A wide variety of service plans are available for the Iridium Pilot with various data bundles (in megabytes) for internet access and various voice plans (in minutes). The largest voice plan bundles have per minute rates under $0.50 per minute. Please call us for more information on which service plan is right for you. Short burst data (SBD) transceivers such as the Iridium 9603 SBD are available to OEM and equipment integrators developing global SCADA and vehicle tracking systems. Extremely small battery powered self-contained equipment has been developed using Iridium SBD because of its low hardware and usage cost. 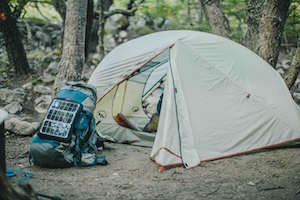 We offer lightweight back-pack-mountable solar panels with built-in battery packs suitable for recharging your Iridium satellite phone and most other small electronics while in the field. For more information about the solar panels and portable battery packs that we offer please call. Outfitter Satellite has a wide variety of service plans for Iridium phones, including prepaid plans and postpaid plans with various bundles of minutes. Seasonal plans are available for short-term use.